Earn up to 21 Vaportiser Loyalty Points. Aspire now brings their latest AIO kit. The AVP is an ‘auto draw’ device that once switched on, does not require you to press any buttons to use, just inhale and the device will fire. 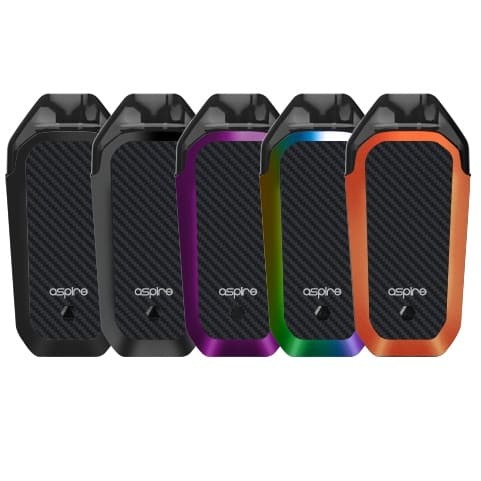 Aspire has also introduced a variable wattage adjustment on the AVP, allowing you the user to adjust the power output of the device. With a built in battery capacity of 700 mAh and a coil resistance of 1.2 Ω, there should be enough power to last all day, depending on your style of vaping, and the power output selected. It comes in five fashionable super colors to suit all tastes, Black, Grey, Purple, Rainbow, and Orange. It has a slim yet attractive angular shape that is ergonomic and fits well in the hand. The AVP kit comes with all the safety features that Aspire is famous for. Leaving you safe in the knowledge that Aspire has your protection in mind at all times.